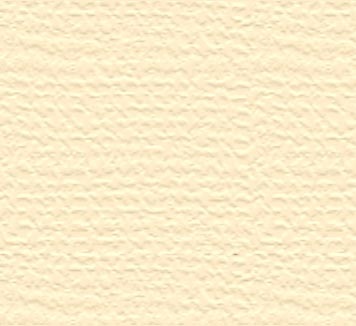 His father's work, finished by the son. 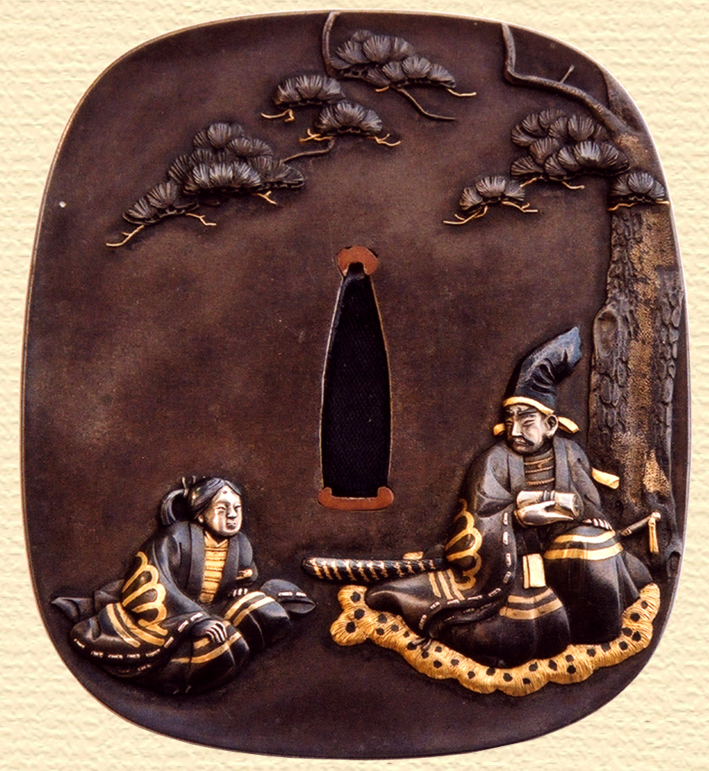 Mitsuhiro states this Tsuba mirrors it's Kusunoki motif in that the work of the father is taken up by his son. This unique poignancy places this Tsuba as one of the most important pieces, extant. Kihachiro Mitsuoki (1766 - 1834) founded the Otsuki School and is regarded as one of the famous Kyoto Sansaku, "Three Greats" of Kyoto, along with TetsuGendo Shoraku and Ichi-no-Miya Nagatsune. 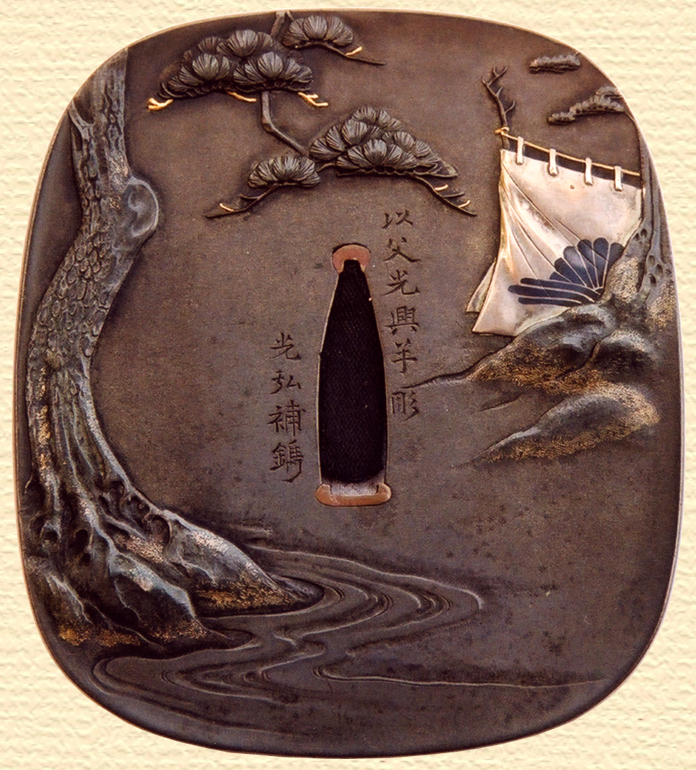 Son, Gozaemon Mitsuhiro (1795 - 1841) completed this Tsuba after the death of his father. Shibuichi ground with multiple alloys inlaid.